Do not clean the Bioballs once they are cycled, or you will risk killing off all the beneficial bacteria that you need to filter your water. Another use for Bioballs: fill your tank's overflow box. They will keep your snails and other animals from going down the overflow as well as quiet the overflow greatly. Aquarium Filter Balls. Great for fresh or saltwater aquarium filtration systems. The bio balls provide biological filtration, removing toxic ammonia and nitrite. In the event of excessive buildup, you may gently rinse with water from an established aquarium, if desired. 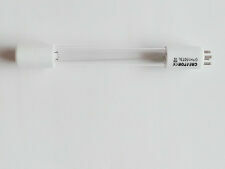 Compatible Product: SunSun JUP-02, CUV-305, CUV-505, GRECH GUP-02, Perfect JUP-02, Super UP-02, Aquatop IL5-UV and others. T5 4-Pin Base. This allows a biological filtration with the use of smaller filtration units. The water values stabilize themselves sustainably, the maintenance effort is reduced. In contrast to other filter, rings on the market, sera siporax consists of sintered glass. These bacteria are constantly breaking down harmful Ammonia produced by the fish into less harmful toxins such as Nitrate. API Bacti-Stars. As such, we have a huge wealth of experience in online trading. 1 x Aquarium Pond Bio Ball. In the event of excessive buildup, you may gently rinse with water from an established aquarium, if desired. The bio-sponge inside provide more surface area for growth of beneficial Bio-Spira bacteria. That’s how JBL BioNitratEx works Bacteria settle on the surface of the JBL BioNitratEx bio balls within about 4 weeks and form a thick biofilm. Beneath the biofilm a low-oxygen zone forms, in which the bacteria start the denitrification process to degrade the algae-promoting nitrate (NO3). • Stabilize the PH value of fish tank. • Use water in the fish tank or removal of chlorine water for cleaning. Filter Bag Color: White. Bacterial Ball. Content: 14 Species Filter Material. Biochemical Ball. Reduces carbonate hardness and pH value, prevents growth of algae, adds natural humic substances: active peat pellets for the use in aquarium filters. 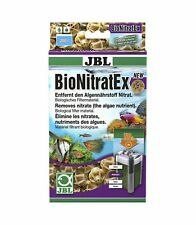 Prevents algae growth: very light amber water colouring. Suitable for use with any external aquarium filter. Fluval Biomax Bio Rings 500g. 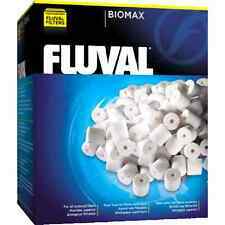 Fluval BioMax ceramic rings have a complex pore system where beneficial bacteria can. Replace BioMax every 3 months. Fluval Biomax Bio Rings 1100g. Composed of a variety of channels and tunnels, the multitude of tiny pores can support these colonies of beneficial bacteria. - Provides superior bilogical filtration. For crystal clear aquarium water. Ideal for new or heavily populated aquarium. Reduces stress on fish. Usage: Wash before use. hope you could understand. Highly porous and absorbent to last longer. Good water quality is necessary to promote the health of fish and plants in the Aquarium. This can be achieved by various filters and different filter material. The filter the aquarium water and remove the dirt and waste material through the filter material from the water. Fluval Biomax Bio Rings. For filter models: 106, 206, 306, 406, FX5, 105, 205, 305, 405, 104, 204, 304, 404. 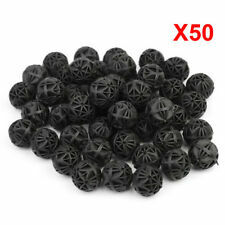 1000 BIOBALLS. Do not clean the Bioballs once they are cycled, or you will risk killing off all the beneficial bacteria that you need to filter your water. Another use for Bioballs: fill your tank's overflow box. 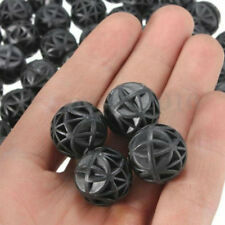 Aquarium Filter Balls. 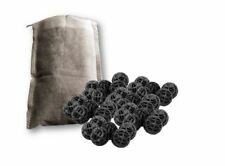 The bio balls provide biological filtration, removing toxic ammonia and nitrite. 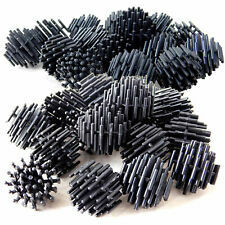 Great for fresh or saltwater aquarium filtration systems. In the event of excessive buildup, you may gently rinse with water from an established aquarium, if desired. Superfish Clean Ball. The Superfish Clean Ball is suitable for use in both tropical and coldwater aquariums. The Clean Ball therefore works perfectly along side, and is a great addition to, any existing filtration in your aquarium. Not only nitrifying and denitrifying bacteria multiply within the siporax biofilms, but also those that break down organic substances. Dying bacteria therefore do not clog the pores. Sera Siporax 15mm 1 Litre (270g). Active peat pellets. 2-component pellets for fast, long-lasting effect. • Changes the colour of the water to light amber, preventing the growth of algae. 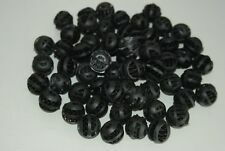 Great for any freshwater or saltwater fish tank or mini-reef aquarium. Fish Tank Filter are simply rinse and use. Bio ceramic rings are used to keep your bacteria colony to convert ammonia from waste to nitrites and nitrites to nitrates. Fluval Biomax 1100g Aquarium Filters. Inner Pack Open But None Used.